Balbriggan Allcare along with their customers set out during July and August to raise vital funds for Balbriggan Cancer Support Group. As part of the ‘Give for Good’ campaign they asked customers to donate €1 along with their purchase and meanwhile Balbriggan Allcare added to that fund. They also held an in-store hamper raffle to raise extra donations. 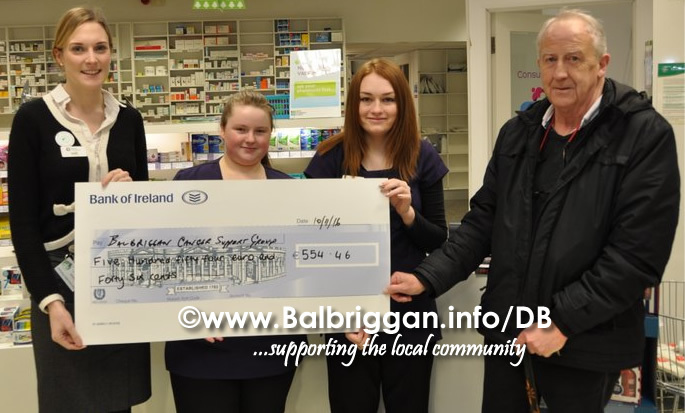 Balbriggan Allcare Pharmacy presented Balbriggan Cancer Support Group with a cheque for €554.46.